We are getting ready for our upcoming sessions. Our team is preparing for this coming year's courses in areas of software development, game creation, multi-media programming, and robotics. Consider signing up for one or two weeks this summer. 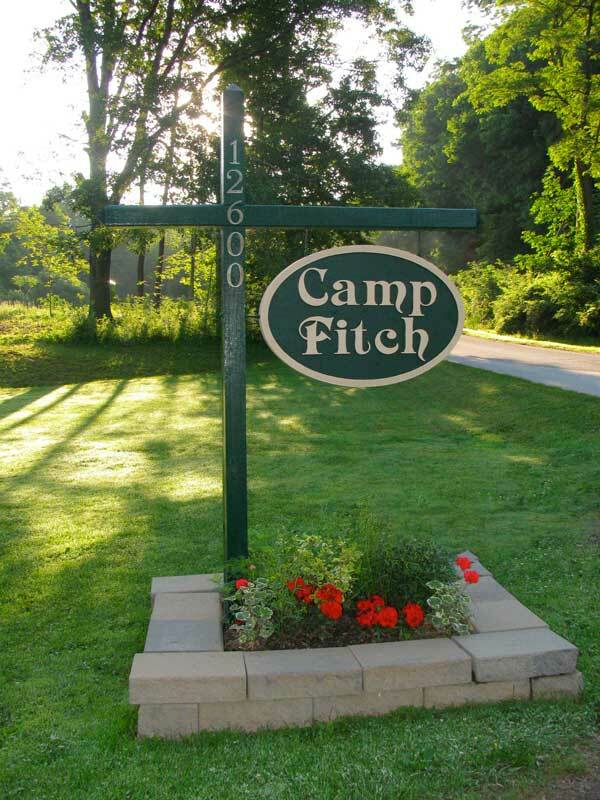 Registration for 2019 is now open, and you can register a camper by calling Camp Fitch at 814-922-3219 or visiting www.campfitchymca.org. 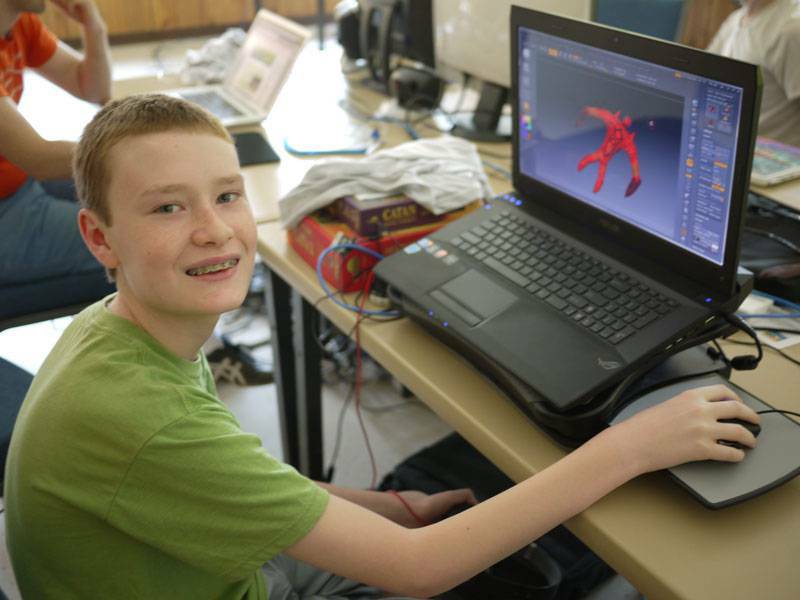 Camp Fitch Tech Focus provides an inspirational education program to children and young adults. Our program is constantly evolving to provide a relevant, foundational, and real-world knowledge in computer programming, content-creation, and robotics. 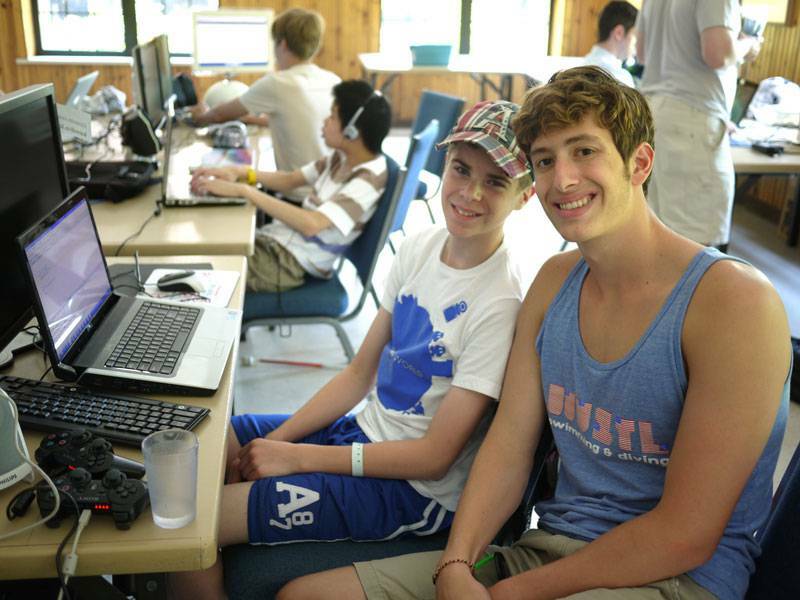 Our highly innovative program combines the intellectual challenge of computing and technology with Camp Fitch's traditional summer camp program. It is a one-of-a-kind program and is held at one of the country's oldest and most successful year-round camps. Regular sessions are open to anyone between 8 and 16 years of age. Please don't hesitate to contact us if you have any questions. 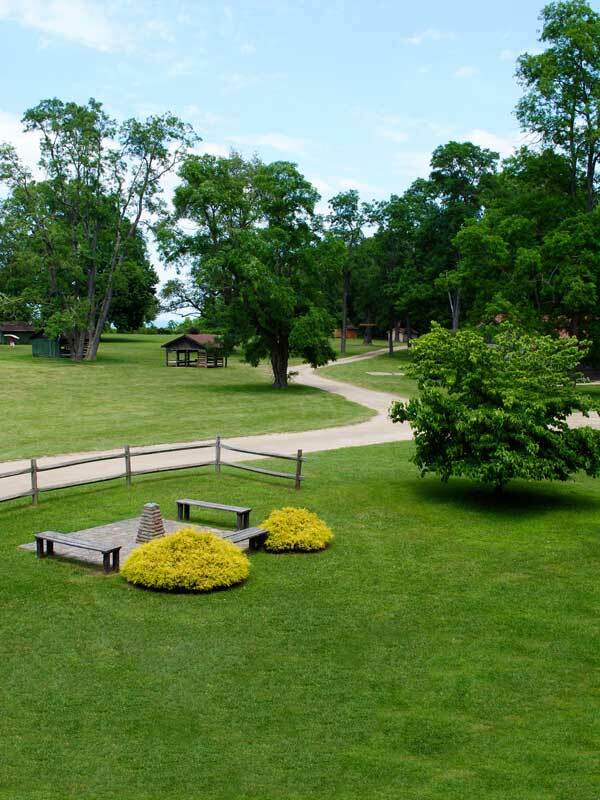 Our regularly returning staff, campers, and their parents believe you will find the camp to be an excellent value and an incredible experience. 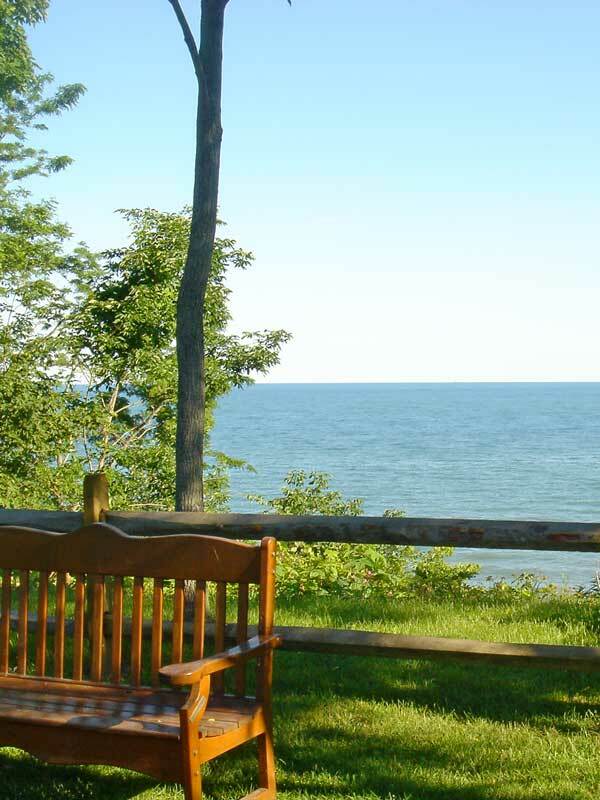 Camp Fitch Tech Focus is part of Camp Fitch, which is located in Pennsylvania on the shore of Lake Erie, just a few miles from the Ohio-Pennsylvania border. 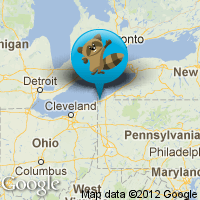 Camp Fitch is within driving distance of Erie, Cleveland, Akron, Youngstown, Buffalo, and Pittsburgh. A shuttle is available to pickup non-local and international campers from Cleveland Hopkins International Airport (CLE). A self-proclaimed cloud plumber, Grant has been involved with camp since 2003. He has a degree in Networking & System Administration from the Rochester Institute of Technology. A resident of Cambridge Massachusetts, he works for Constant Contact doing infrastructure engineering and automation. His free time is spent traveling, watching/playing hockey, and hanging out with friends. 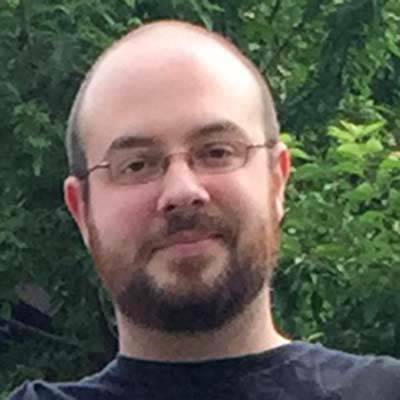 Tom is a Software Engineer at Wargaming Chicago-Baltimore, where he develops web services for the console versions of World of Tanks. 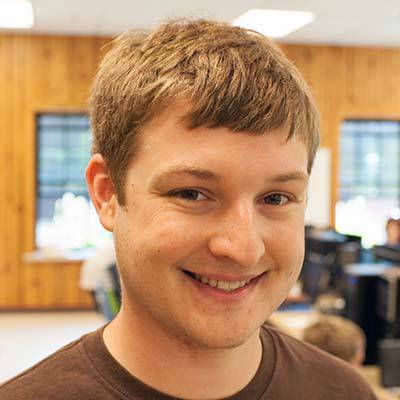 Tom specializes in python, and he's familiar with most popular programming languages. He's fascinated with the fields of Software Engineering and DevOps, and he has been involved with camp since 1998, his first year as a camper. Andrew (aka Fitz) first attended camp as a camper in 1996. CFCC gave him a solid foundation and passion for working in the Computer Science field. 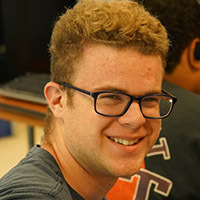 In addition to being at camp every summer, he's spent time working in systems administration, educating people about supercomputers, writing software, and helping others write better software. 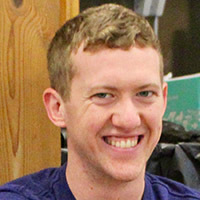 He currently works for Google and spends his free time skiing, taking photos, and figuring out how to better teach Computer Science. Megan has been a counselor at camp many times since 1997. In college she studied computer engineering for a short while before earning her degree in Graphic Design. Since then she has gone on to get her Masters in Education and is currently a Math, Science, and Computer teacher in Northeast Ohio, working with students of all ages (although Jr High is her favorite). In her spare time she enjoys traveling and photography and one day hopes to relearn to play the piano - this time by ear. Ryan has been a part of camp since his first year as a camper in 2004. He has a degree in electrical engineering from the University of Illinois and currently works for a defense contractor doing software development. He writes mostly in Python and C, but his first and only true love will always be QBASIC. In his free time, you'll find him running along the Space Coast beaches in Florida and having bad movie nights with his friends. 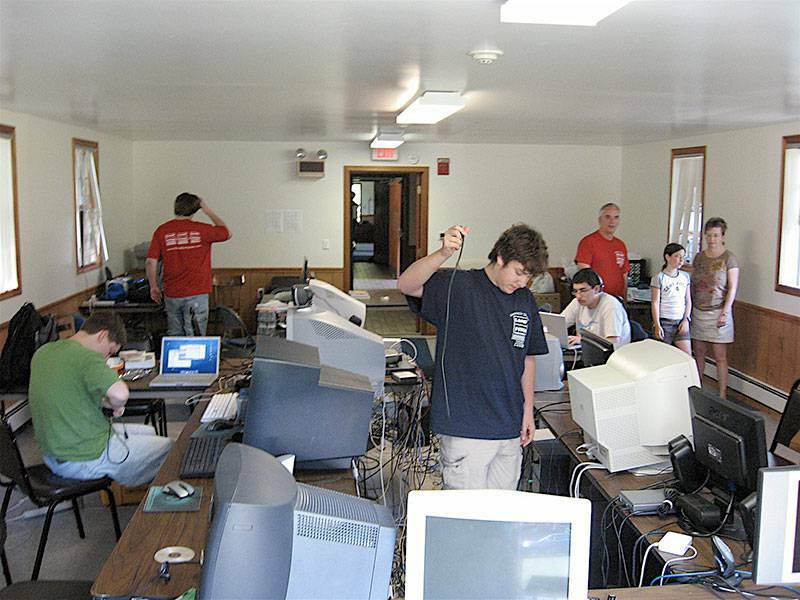 Hannah's father, a website builder, was on a quest in 2002 to find his daughter a computer camp that lived up to his standards; when he came across Camp Fitch's Computer Camp. Trusting in the leadership, Hannah was shipped off to CFCC for two weeks. Ever since, Hannah has returned each summer to learn new realms of computers as well as ventured into the traditional activities (she loves archery). She successfully made it through the CIT program, spent several weeks on Dishcrew, then became a traditional counselor. She has worked in Inca, Aztec, and Navajo villages as well as a Computer Counselor. During the cooler months, Hannah migrates south, to Charleston, South Carolina; where she teaches Pre-Algebra and Algebra to eighth grade students at Laing Middle School of Science and Technology. A partial magnet school that has a fully integrated STEM (Science, Technology, Engineering, and Mathematics) education system. In her rare spare time, she enjoys going to the beach, playing with her dog, going to concerts and seeing movies. Ian has been part of CFCC since 2009, and spent his last two years as a CIT and then a counselor. 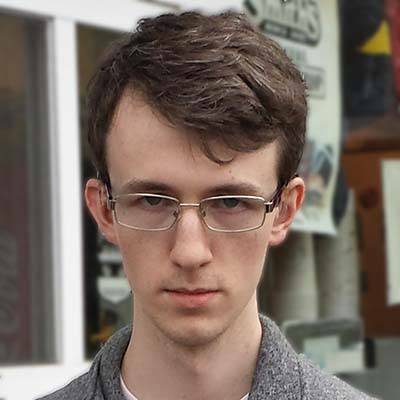 He is familiar with Python, Java, and PC computer hardware. 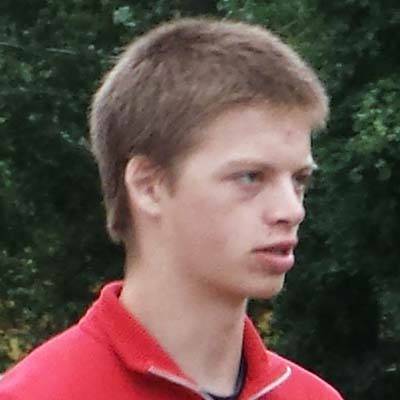 In his free time, Ian enjoys running, playing in the Jazz and Marching bands, and online computer games. Jordan has been part of the Camp Fitch Bunch since 2011 as a camper and 2014 as a counselor. Jordan is familiar with a wide variety of languages, but his favorite is his first, Java. 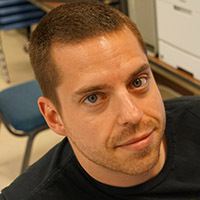 During the rest of the year, Jordan is a student at Purdue University in West Lafayette, Indiana studying Computer Science. He works at a dining court as a Student Cook, sings in choir, develops apps with the Association for Computing Machinery (ACM), and watchs Disney movies with the Disney Appreciation Club. Tina has been a part of the Camp Fitch staff since 2006. 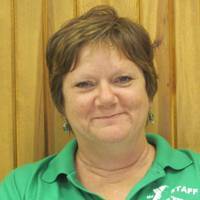 She has worked as a dish crew member, a counselor and as the Archery Director. 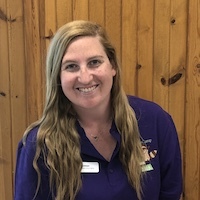 She joined the camp Staff as a Counselor in 2015. When she is not working at for camp she is an elementary school Intervention Specialist in Northeast Ohio. 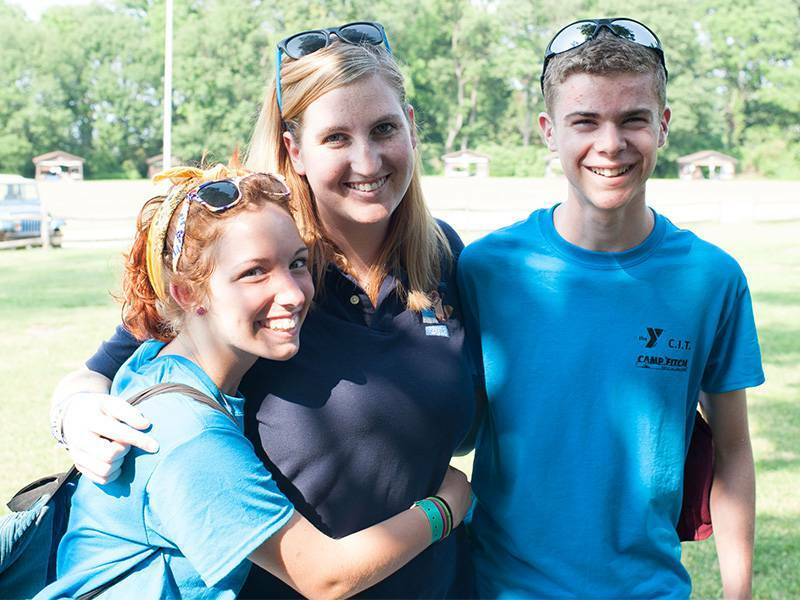 Zak, once a camper in 2008, returned as a CIT in 2014 and has been a counselor since. 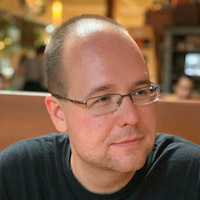 Zak currently owns and operates EpicGeek Web Services & Technology Consulting, a small firm specializing in long range target engagement systems development, website/application development/hosting, and server/network deployment/administration. In his free time Zak is an avid science fiction aficionado, enjoying all things Star Trek, Star Wars, Doctor Who, Marvel, and somewhat regrettably, DC Comics. On occasion when he does decide to step outdoors, Zak can be found sport shooting, natural rock climbing, kayaking amongst great lake islands, and teaching at local ski resorts during the winter months. 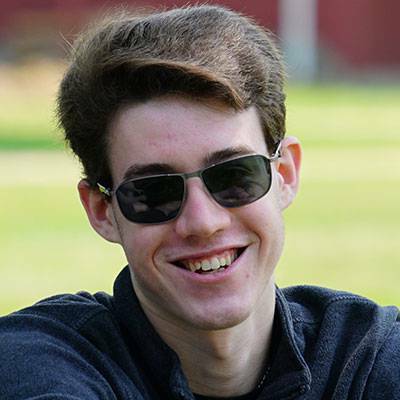 Scott is a senior studying Computer Science and Mathematics at Rochester Institute of Technology. He is currently finishing his degree doing a software engineering co-op at Johnson & Johnson. 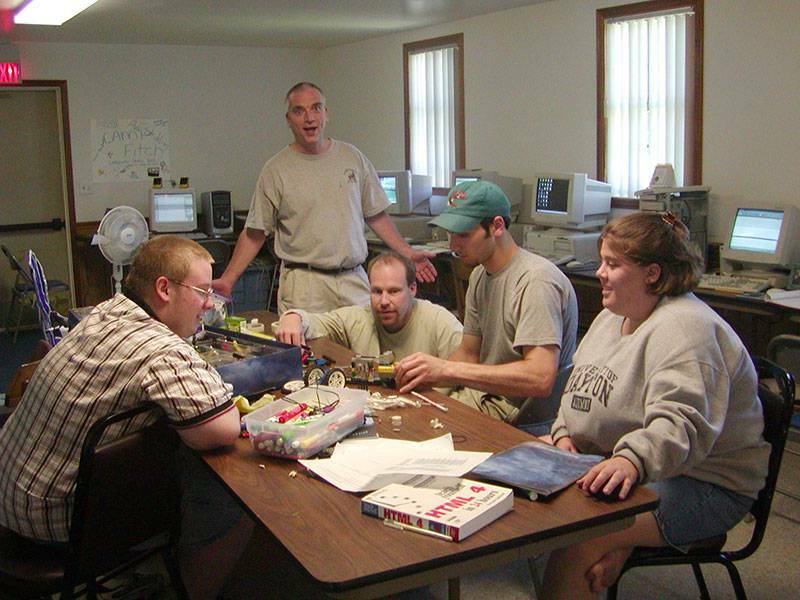 Scott's first year at Camp Fitch was 2015, but he started working in Computer Science education in 2013 when he started working on a summer program for teaching Computing to visually impaired students. In his spare time, Scott enjoys board and retro computer games, hiking, and learning about anything that interests him. 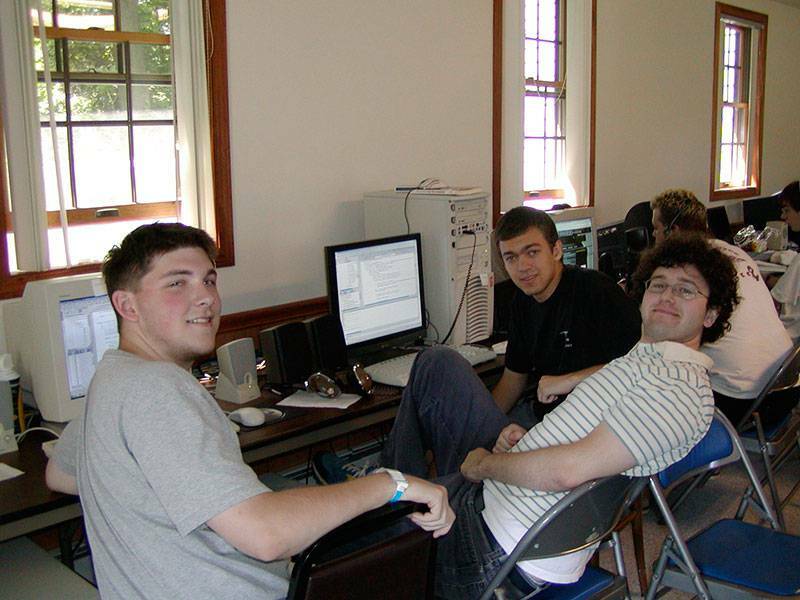 Tristrum is a freshmen studying computer science at the University of Pennsylvania. Tristrum joined camp in the summer of 2015. He codes mainly in Python and Java, but is also proficient in Java Script, HTML/CSS, OCaml, Processing, and Swift. He has also written curriculum for a Scratch-based introduction to programming course designed for elementary students. Susannah became a counselor at camp in 2017. 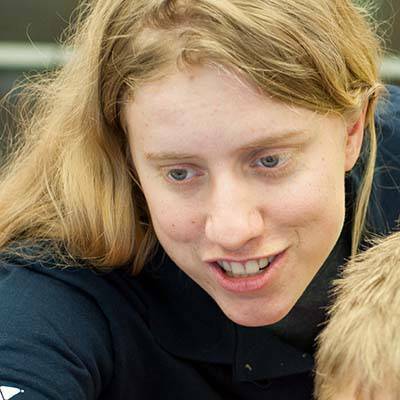 A mathematician-turned-computer scientist, she has a MS in math from the University of Nebrask-at-Lincoln and a MS in CS from the University of Nebraska at Omaha. She's currently pursuing a PhD in Information Technology and doing research in data mining and machine learning. Susannah is most comfortable programming in Java and Python. She is passionate about encouraging young children to pursue math and CS - particularly women and other underrepresented minorities. Camp Fitch Tech Focus (originally Camp Fitch Computer Camp) can trace its roots back to 1982, when Roger Patterson and Bill Schrack, math teachers from Boardman, Ohio decided to extend the work they were doing with computers in their classrooms to a summer camp setting at Camp Fitch. Camp was originally run out of the Nature Lodge. They used the latest hardware in the then emerging field of personal computing. This hardware included TRS-80, Apple II, Atari personal computer, and Commodore 64 computer systems. As computer hardware technology and operating systems advanced, CFCC kept pace with these changes and added "IBM compatible" PCs and Apple Macintosh computers. 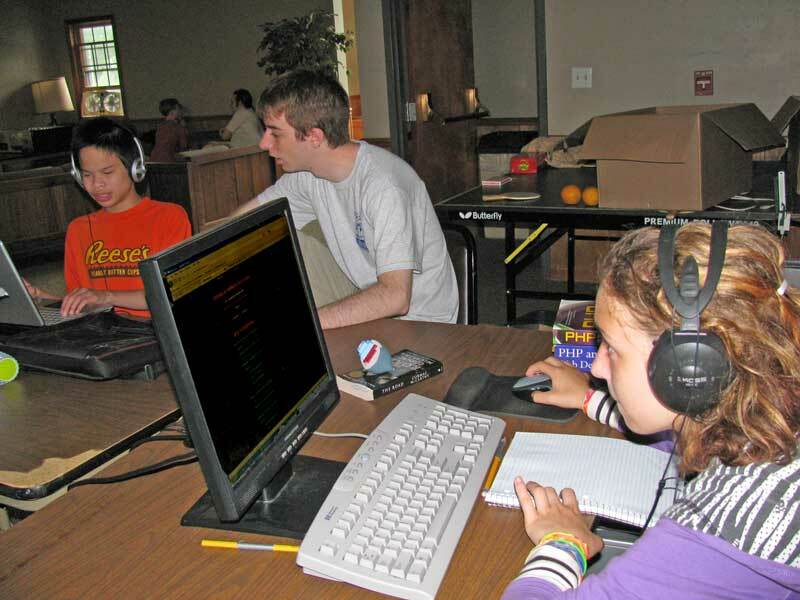 From its inception, CFCC's focus has been teaching its campers computer programming using languages such as BASIC and eventually incorporating LOGO, PASCAL, and C into the course work. Programming exercises designed by Roger and Bill were intended on teaching concepts of computer programming along with various concepts in mathematics and problem-solving. 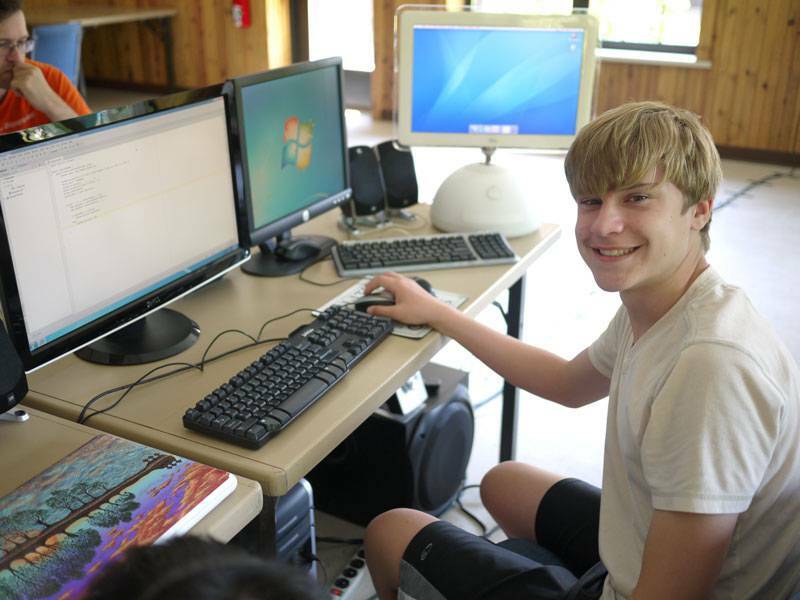 More advanced campers were able to work on projects independently or in small groups to create games, network chat programs, and more.. In the late 1990's robotics was introduced using LEGO Mindstorm and similar robotics kits. Students learned how to write programs to control robots they designed. CFCC also began using satellite technology to connect to the internet. It was always fun trying to figure out where to point the satellite dish every summer in order to get the best possible signal. 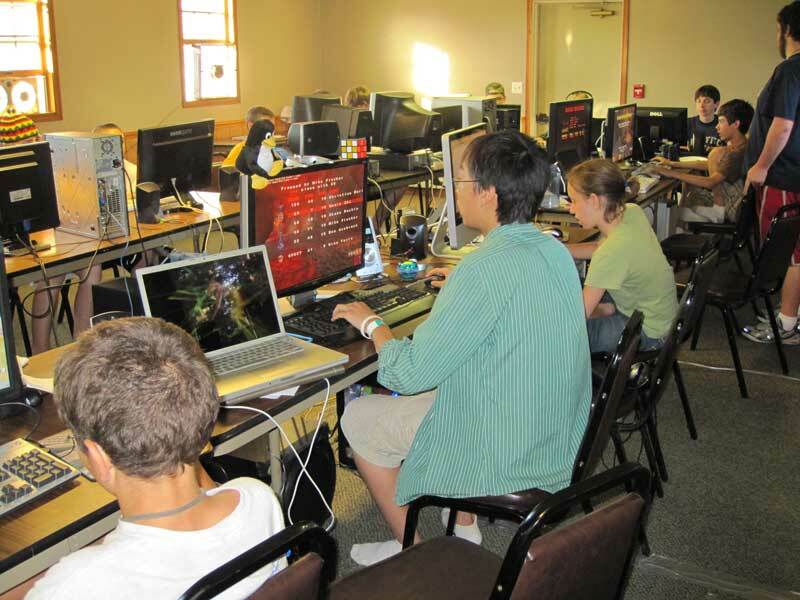 CFCC also adopted its new home in Mirto Lodge, which remained as the computer center until 2012. 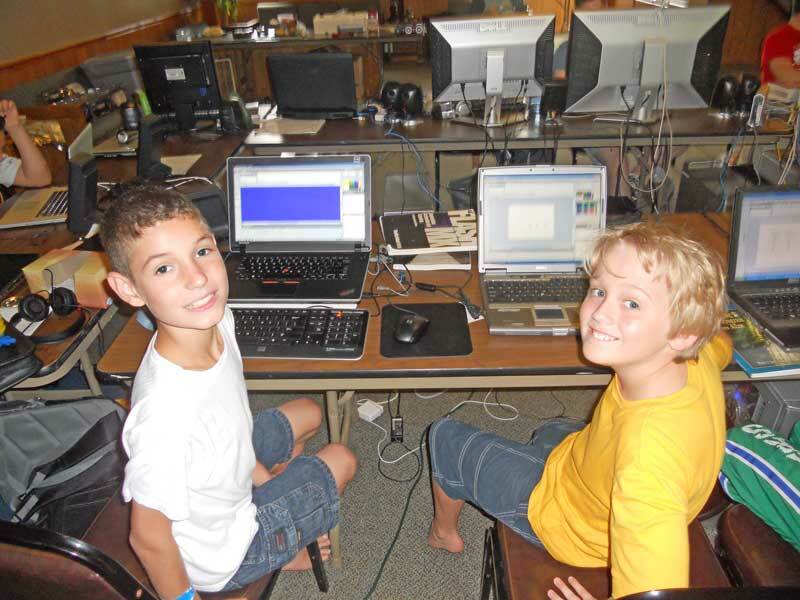 Over the past several years, CFCC has kept true to its main goal of teaching computer programming to campers. In addition, the curriculum has expanded to include teaching concepts in multi-media, configuration of web servers, and working with various hardware such as 3-D printing. 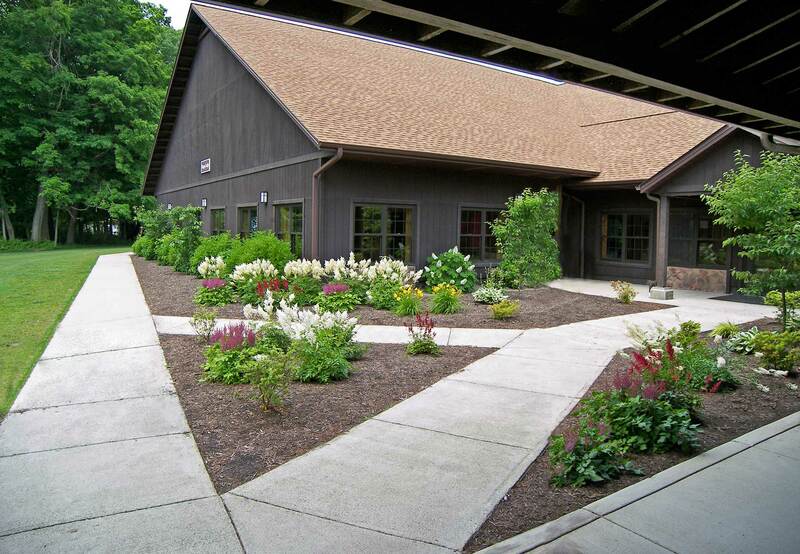 In 2012, CFCC moved to its new home, The Banana Tree Room, located in the Skeggs Lodge dining hall facility. 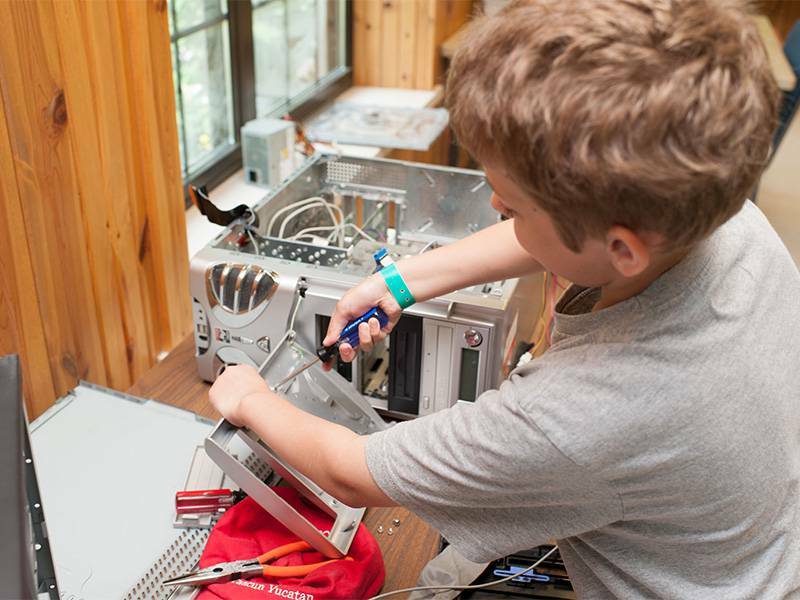 Because the ratio of campers to counselors averages 2:1, coursework for each camper is customized to address their particular level of knowledge and individual interests they may have. This has been a mainstay of camp since its early roots. CFCC continues to stay current with leading edge information technologies as they emerge. This is possible because the vast majority of the CFCC staff works as software developers or are studying computer science/software engineering at college level and are constantly being exposed to changing technologies. Since its inception in 1982, CFCC has always offered its campers "a head start with essential skills", and with the passion of our staff and campers, this will continue into the future. Roger Patterson is a Phi Beta Kappa graduate of Dartmouth College, the home of Time-Sharing and BASIC. He He has a M.S. in Mathematics from Ohio State University, and 36 years of experience in education. He retired from teaching mathematics and computer science at Boardman High School in Youngstown, Ohio where he received several honors. 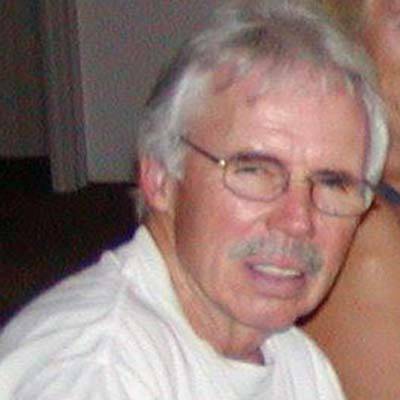 Later, Roger was an instructer at Youngstown State University and Mount Union College. He has authored many of the Logo activities which are used with great enthusiasm by the younger and less experienced campers at Camp Fitch. 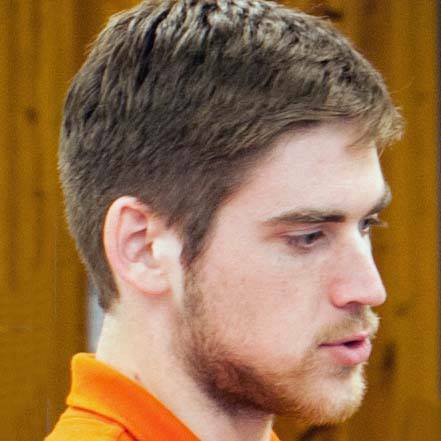 In addition to his work in the classroom, Roger has authored software for school use. Bill was a co-founder of computer camp and was co-director of the program for 21 years. Bill has a wealth of experience in both the computer and education fields. He taught mathematics at the secondary and university levels and computer science at the secondary level. He is a graduate of Youngstown State University and received his master's degree from the University of Dayton. His thesis was written on individualized instruction, an area in which he specialized throughout his career. He taught 26 years, the last 16 of which were spent developing and directing an individualized mathematics program. Bill is a past president of the North Eastern Ohio Teachers Of Mathematics. He is a recipient of the Joe Check memorial Award presented by the Youngstown, Ohio YMCA which reads "IN RECOGNITION OF HIS OUTSTANDING SERVICE AND UNTIRING DEVOTION TO THE YMCA". In 1984, Bill was nominated for the outstanding mathematics teacher in the state of Ohio. 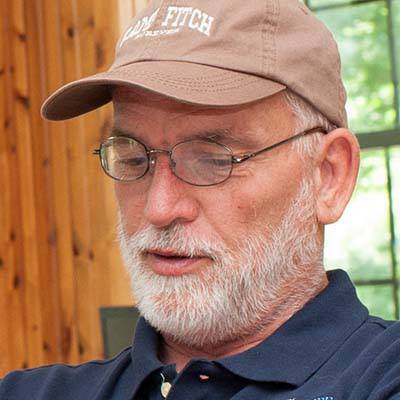 Chuck was associated with camp from 1999 to 2014, and had been a friend of Camp Fitch since 1992. His career covered more than 30 years as a commercial software developer, systems designer, systems integration architect, and has managed at every level of an IT organization. He was the principal architect of an Electronic Medical Record platform which was awarded the Nicholas E. Davies Award of Excellence for achievement in the implementation and value of utilizing Information Technology. Chuck was also the Chief Information Officer for Whole Health Management, a leading healthcare delivery organization, prior to its acquisition by Walgreens. 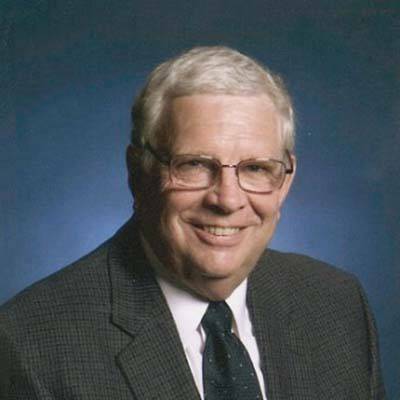 Chuck earned his Bachelor of Science in Mathematics from Allegheny College, and he served several years on the IT Business Advisory Board for the Ohio Department of Education. 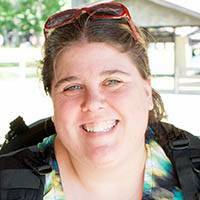 Kathleen was associated with camp from 1999 to 2014, and has been a friend of Camp Fitch since 1992. Her career has been spent in healthcare information technology and healthcare analytics. She spent her earlier years as a software developer, eventually transitioning to the administrative side of healthcare. There she leads projects developing analytic data warehouses and reporting environments. She serves as the technical liaison between information technology and the business, as well as the lead for reporting and analytic projects.